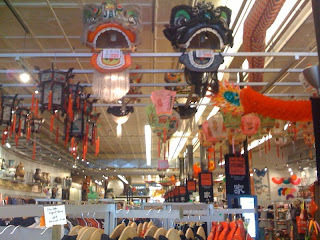 Pearl River Mart on Broadway between Grand and Broom St. We were surprised to learn this store has been in business in New York for 30 years because it looks like something that could have opened just last year. The store is a strange mix of items (mostly Chinese, but some Japanese and Korean products), some cool and unique, some expensive, some dirt cheap and some downright cheesy, weird and humorous (mostly located on its lower level). The store is more odd considering its located in SOHO. But it's worth a visit. 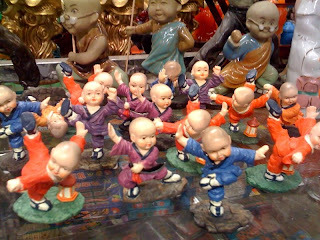 Kung fu babies! We got the best one (not pictured).